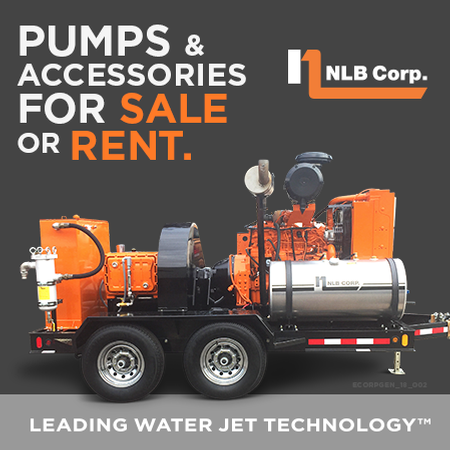 Authorities are investigating the falling death of a welding inspector at a large outdoor shopping mall jobsite in Las Vegas. The 26-year-old worker fell to his death from an unknown height at the Summerlin Shops mixed-use development just before 9:00 a.m. Tuesday (Aug. 20), according to reports, citing Las Vegas police officials. Mark Lovett, 26, died Tuesday (Aug. 20) morning in a fatal fall. Family members are seeking donations to pay for funeral expenses on giveforward.com. 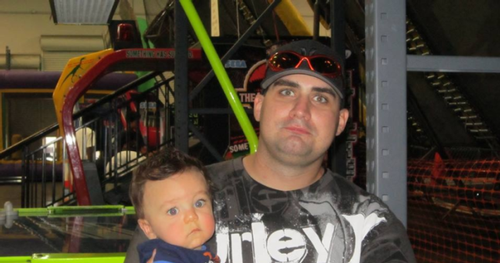 The photo shows Lovett, who had been a welding inspector for eight years, with one of his nephews days before the tragedy, according to the website. The worker, identified as Mark Lovett, a Las Vegas resident had been working at the site as a welding inspector, according to News3, a local NBC outlet. Lovett had only started the job a couple of days before the fatal fall, according to statements on Giveforward.com. Lovett’s family is raising money on the website to pay for his burial. “Mark was full of life and potential, working hard all of his short 8 years as an Inspector, insuring building construction safety,” according to the site. He had followed in his father’s footsteps. Jim Lovett was also a welding inspector. The Shops at Summerlin project is being developed by The Howard Hughes Corp., headquartered in Dallas, TX. The general contractor is VCC LLC, based in Little Rock, AR. “We are deeply saddened by the loss of the individual and our thoughts and prayers go out to his family, friends and colleagues during this very difficult time,” a Howard Hughes Corp. spokesperson said in an emailed statement to D+D News. Lovett was working on The Shops at Summerlin, a mixed-use development in Las Vegas, directed by The Howard Hughes Corp. Work has been halted at the project while the company works with OSHA and other authorities. The project is slated for completion in 2014. “The Howard Hughes Corporation is dedicated to the safety of all workers on our construction projects,” said Caryn Statman Kboudi, vice president of marketing. VCC did not immediately respond to a request for comment or more information on Wednesday (Aug. 21) morning. Kboudi noted that construction activities at the development have been halted while Nevada’s Occupational Safety and Health Administration and other authorities are investigating. 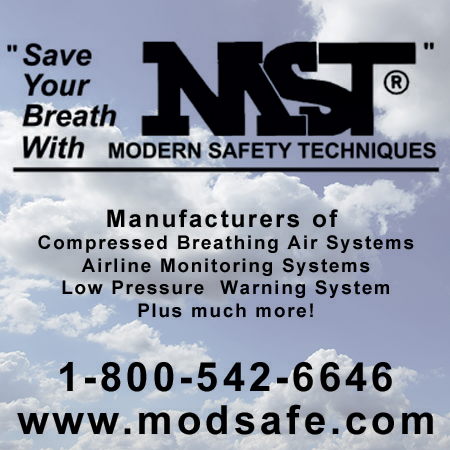 An establishment search using OSHA’s database did not yield any recent violations for the developer. However, VCC’s record with OSHA includes an April 2009 violation for alleged fall protection hazards at a jobsite in Arkadelphia, AR. The initial penalty of $15,000 was reduced to $5,000 through informal settlement, according to the database. The citation documents in that case were not immediately available for review Wednesday. 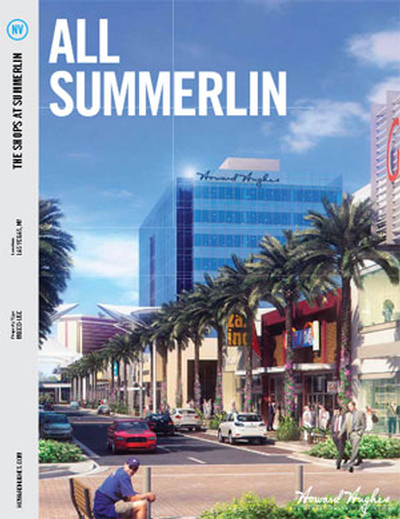 The Shops at Summerlin is a 106-acre, 1.6 million square foot mixed-use development, slated for completion in 2014. It will serve the Las Vegas Valley with more than 125 shops and restaurants in an open-air environment, according to Howard Hughes website. A local NBC outlet reported that the project had recently resumed after being shut down for several years due to economic reasons.